There she found Nick. He messaged her right away and asked her to lunch. They decided on a place called Margaritas. They actually had lots to chat about, they both have big Italian families, they are from neighboring towns and both had travelled to Guatemala and Belize. Nick told Dina soon after a few dates that he knew immediately on their first date that she was the one and Dina agreed and felt that way as well. After a few dates, they shared their first kiss on the corner of 14th and Washington Street. (This is where Nick actually proposed three years later)! 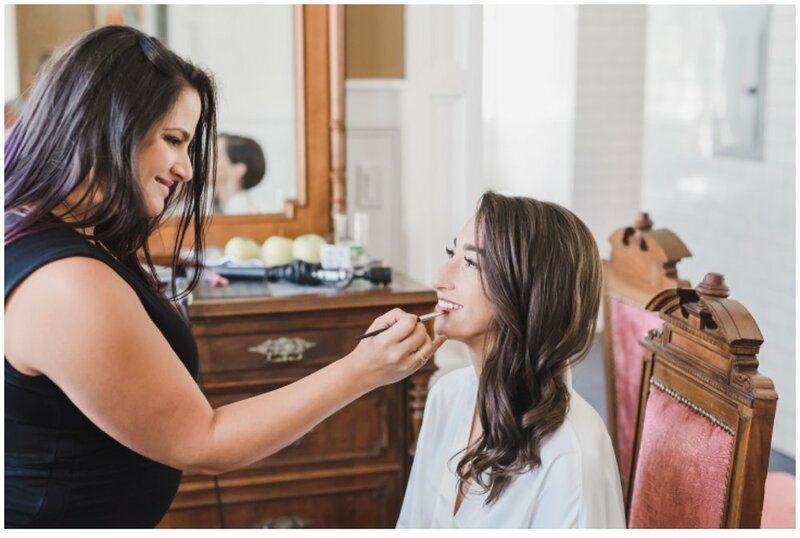 Nick and Dina knew that they wanted their wedding day to stay small and intimate so when they went venue shopping and found the coach house at the Ryland Inn, they knew it was exactly what they were looking for. 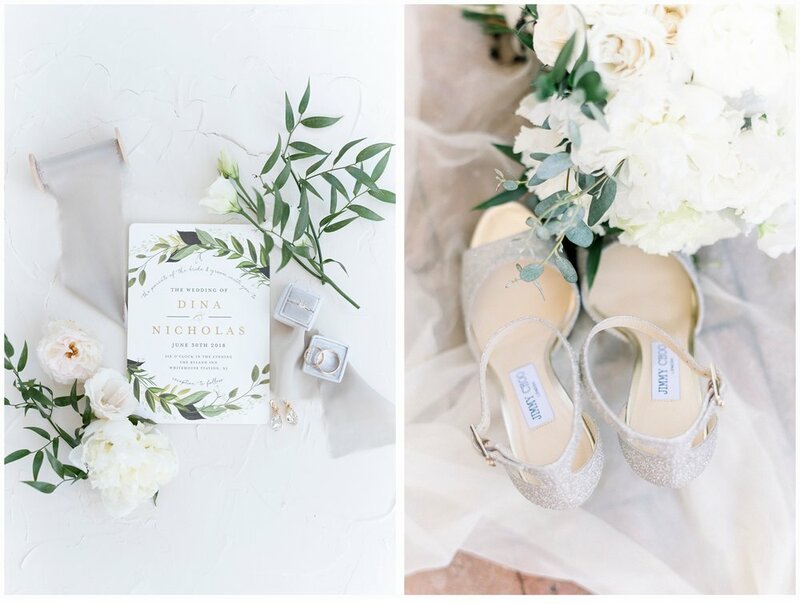 Intimate and a bit rustic with a touch of elegance! One thing that Dina wanted for her wedding day was for Nick to be in a black tux. She thought that he would look so handsome and she was right! 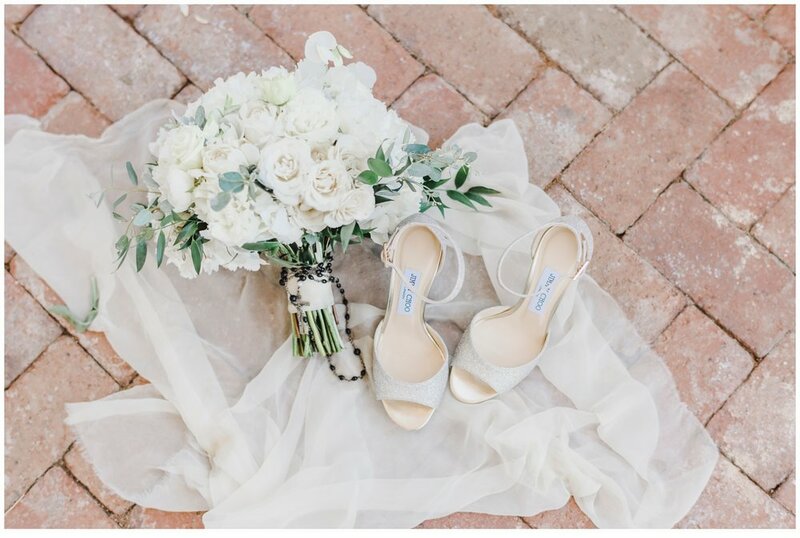 Dina found her gorgeous wedding dress at I Do I Do in Morristown, New Jersey. What she loved the most about it was the simplicity, the beautiful open back and how comfortable she felt in it. 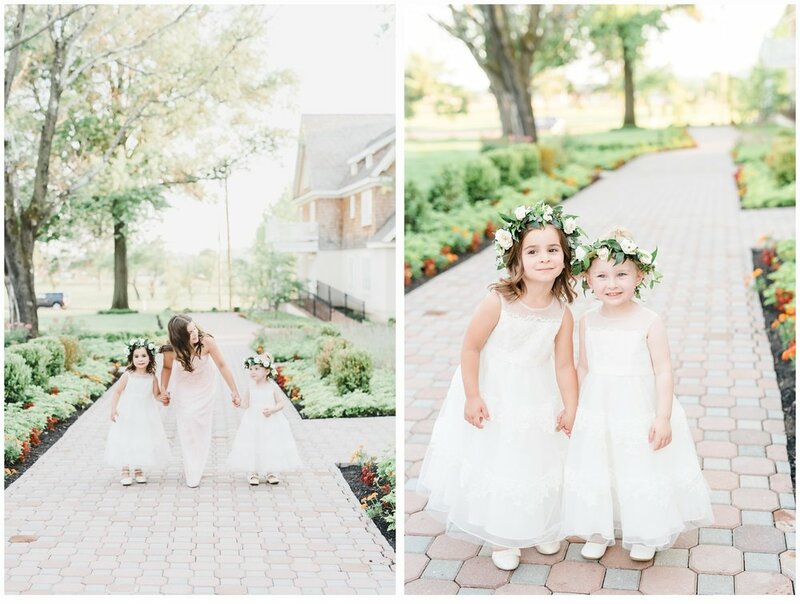 Their day started in the bridal suite where Dina was joined by her sister, mom and her niece. It was cozy and wonderful and a perfect setting for getting ready. 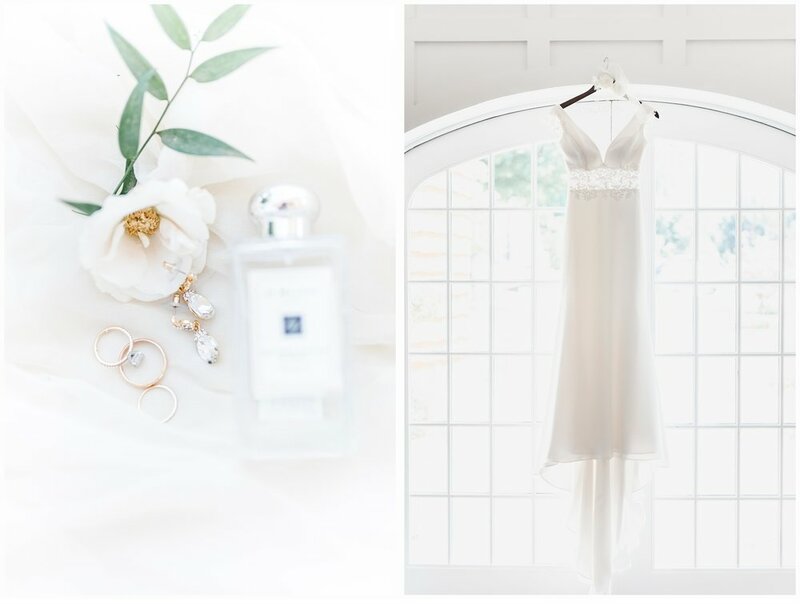 The bridal suite is absolutely gorgeous and it is filled with the prettiest light! Nick and the rest of the family members were staying at the beautiful Kimblewick House right on the premises as well. The couple chose a first look which was emotional and sweet. You could truly see that they are best friends and a perfect match! Afterwards, the ceremony took place in the courtyard at the Coach House which has the prettiest stone fireplace right in the center! I just love the pretty old world brick patio. Their ceremony was officiated by one of Nick's best friends and he did an awesome job. There was quite alot of happy tears at this beautiful wedding for sure! One of the things that was most important to Dina and Nick was the music. They had gone to see Motown the Musical early on in their relationship and decided that this was the type of music that they wanted. I loved their choice for their first dance which was "Cruisin" by Smokey Robinson. They found the perfect band "Blue Avenue Groove" and they were amazing! The night was filled with great food, lots of love and so much dancing. Being they both have large Italian families, they ended the night with having hired professional pizza makers from Naples come and make pizza for everyone! What a beautiful celebration!